Jacques Torres always tries to bring contrast to every dessert. 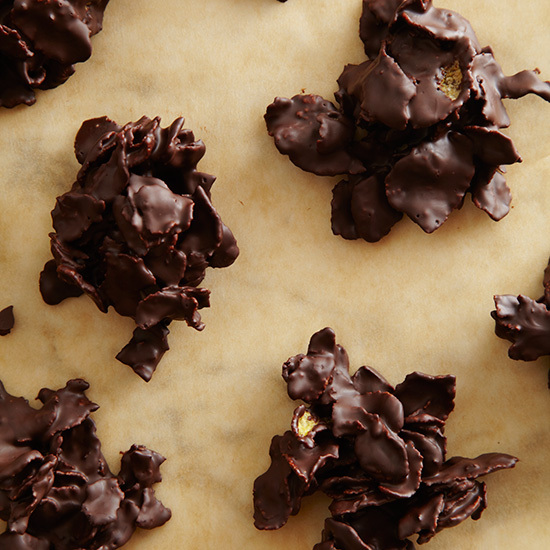 He discovered corn flakes years ago and, being a pastry chef, wondered what would happen if he covered them with chocolate. He loved it so much that now he takes corn flakes home to France and makes this recipe for his friends. They wonder about the things Torres is learning in America, but there are never any leftovers. 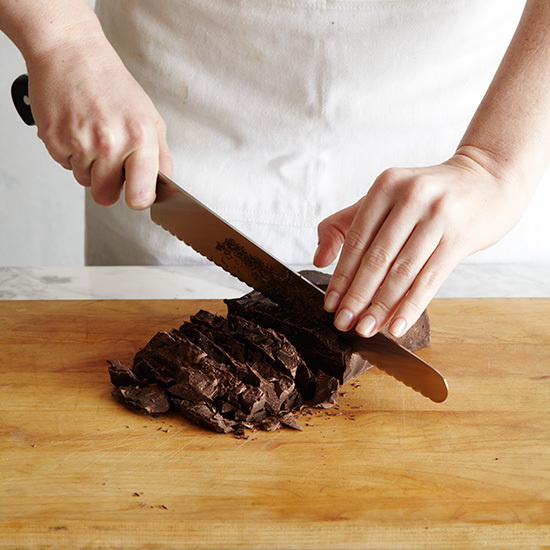 Chop the chocolate into 1/2-inch pieces with a serrated or other large knife. Microwave 2/3 of the chocolate for 30 seconds on high power and then stir with a rubber spatula. 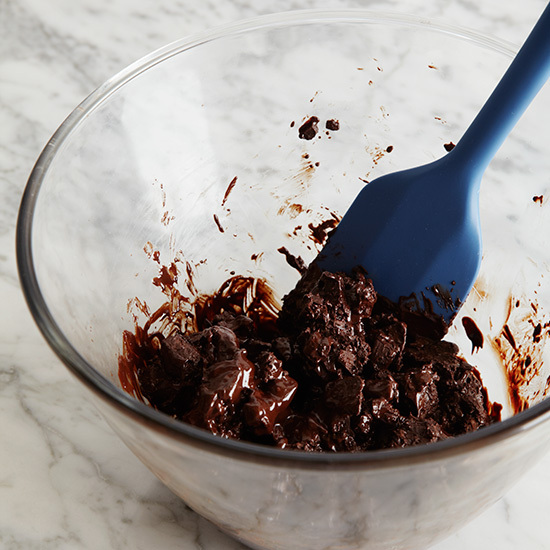 Continue to microwave the chocolate in 30-second intervals, stirring each time. Stop microwaving the chocolate when it is fully melted. 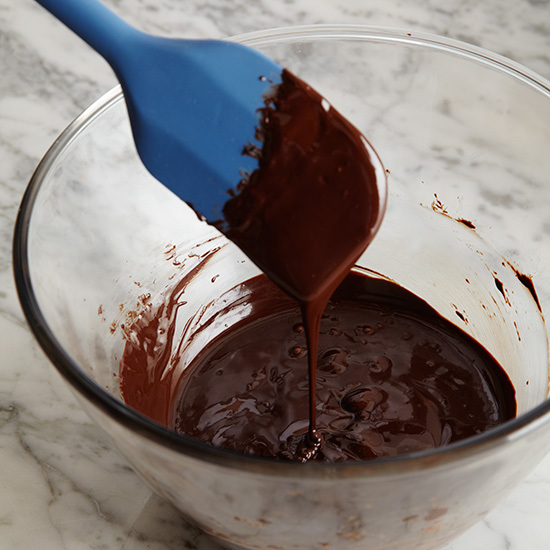 Stir in the remaining 1/3 of the chocolate until melted. 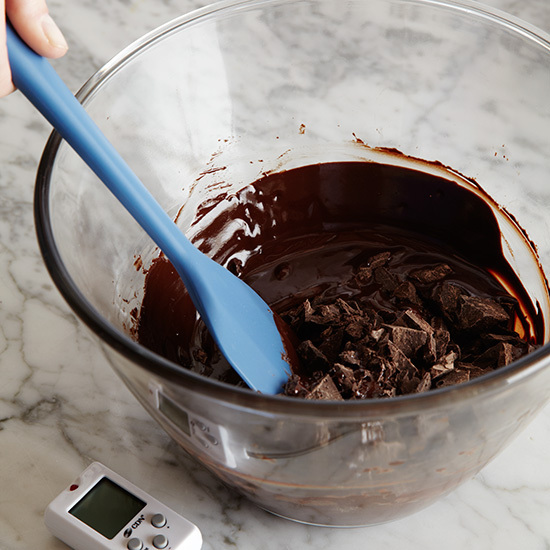 The melted chocolate should now register between 104° and 113° on an instant-read thermometer. 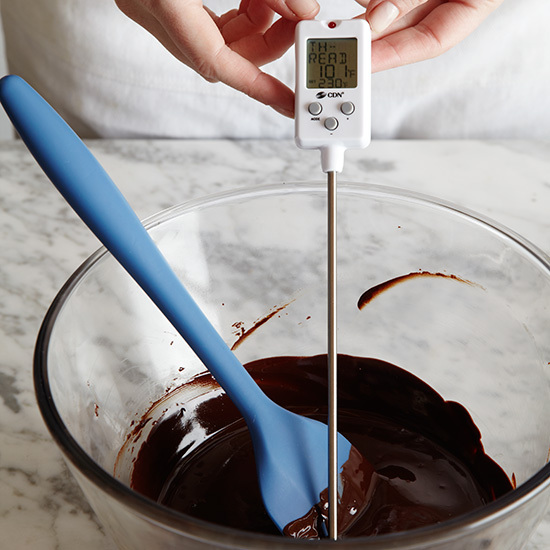 If you don’t have an instant-read thermometer, a simple method of checking tempering is to apply a small quantity of chocolate to a piece of paper or to the point of a knife. If the chocolate has been correctly tempered it will harden evenly and show a good gloss within five minutes. 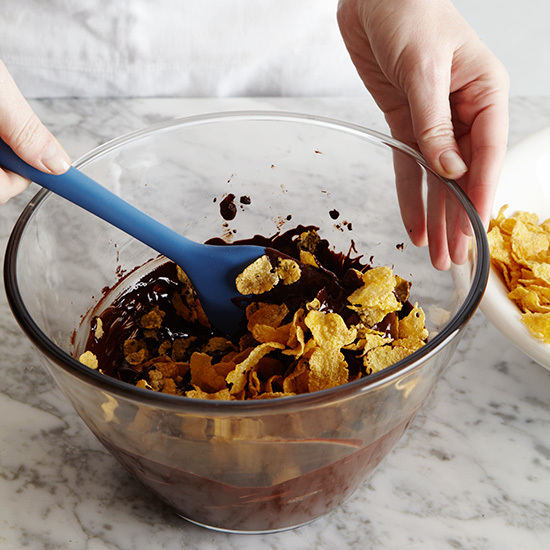 Pour the corn flakes into a large mixing bowl, then pour about half of the tempered chocolate over them. 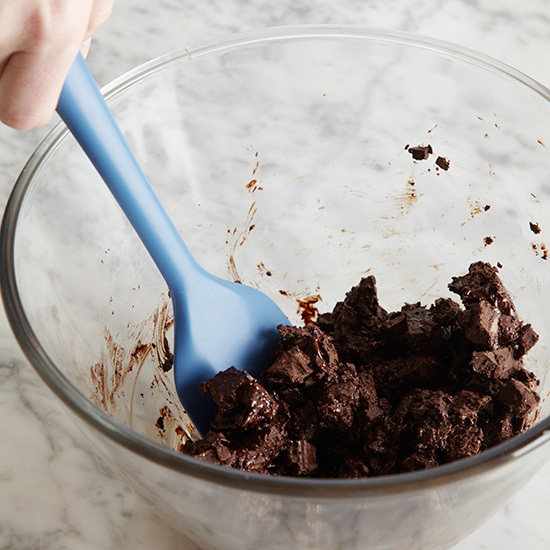 Use a rubber spatula and mix until evenly coated. The tempered chocolate will immediately begin to set. 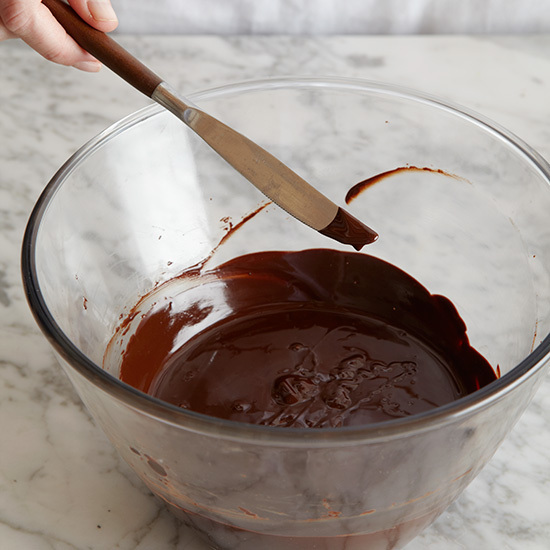 Once the chocolate has set, repeat with the remaining chocolate to give a second coat. 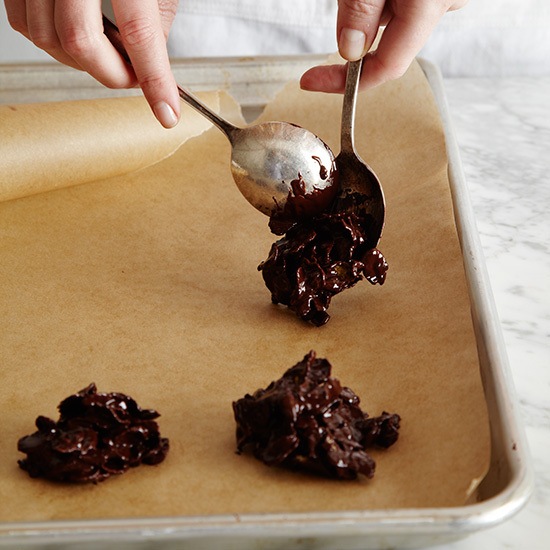 Quickly scoop small mounds of the chocolate corn flakes onto a parchment paper–covered baking sheet. Allow the chocolate to harden, then serve.